You can read 3 chapters here. You can read Elise Cooper’s interview with character George Shaw here. There were parts of JAR OF HEARTS that I skimmed (I’m not that desensitized. There are still places I can’t bring myself to go), but it’s also a compelling read that made me think about so many things. -How do you go on, day to day, living with guilt of that magnitude? -Is Geo the only person Calvin, in his warped way, ever really loved? My conclusion would be a resounding yes. That in itself is creepy and scary. What about her touched him and exactly what part did it reach? Their relationship fascinated me, perhaps like an accident on the highway. You can’t help but look and wonder. -Forgiving, is it the only way to move on? Am I capable of that depth of forgiveness? 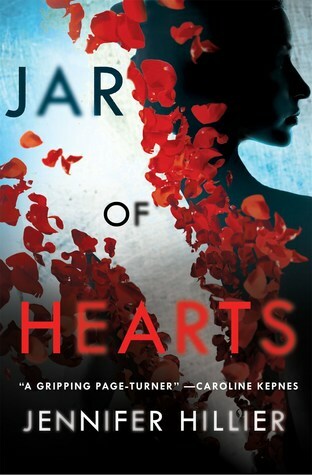 -They say, “the road to hell is paved with good intentions”, and that’s so true in JAR OF HEARTS. -Nature or nurture? A bit of both? -Was there any other choice? How far is too far? -Do we ever really know what we’re capable of until we’re up against it? My imagination is vivid enough, so I would’ve preferred less of the graphic details, but overall JAR OF HEARTS is thought provoking and compulsive. Just when you think you know, you don’t. That’s always a good thing for me.